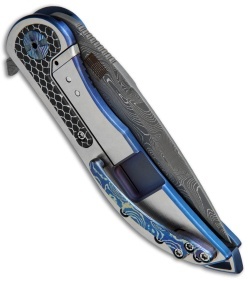 This custom AOD Impact knife from Darrel Ralph DDR features custom carbon fiber scales over a titanium frame lock handle and a Chad Nichols Wave Pool Damascus steel blade. 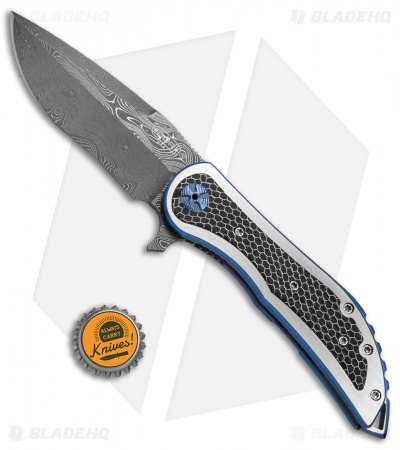 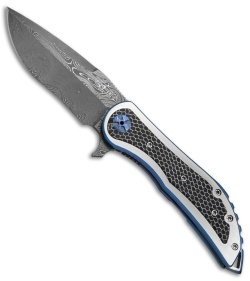 Other custom details include a MokuTi pocket clip, blue anodize handle accents, and MokuTi pivot hardware. 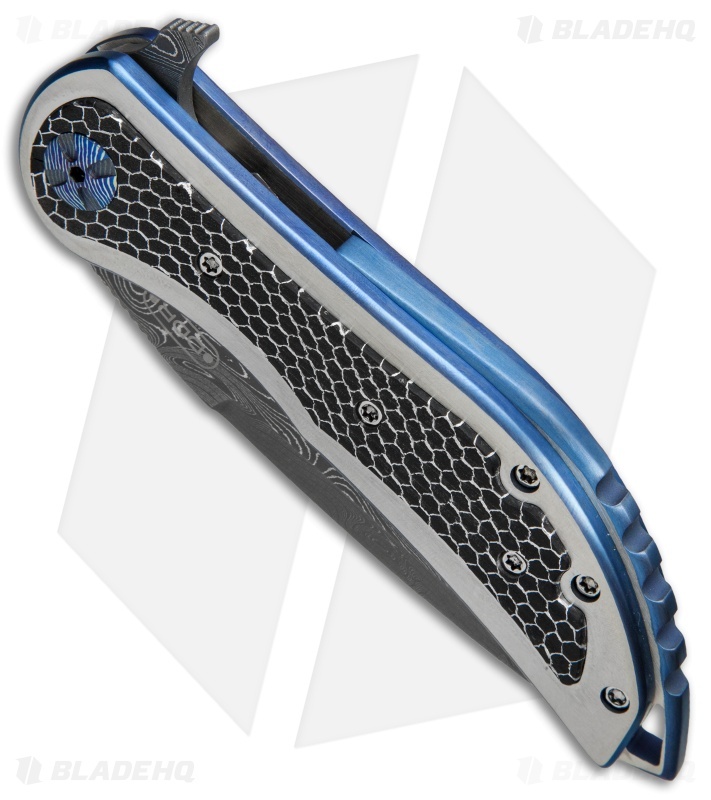 AOD stands for Absence of Doubt and this no-nonsense flipper will leave no doubt about it's extreme functionality. It has a beefy backspacer striker, that provides a solid impact tool for tactical use. The AOD includes a titanium pocket clip with a machined ball tip for comfortable pocket carry.